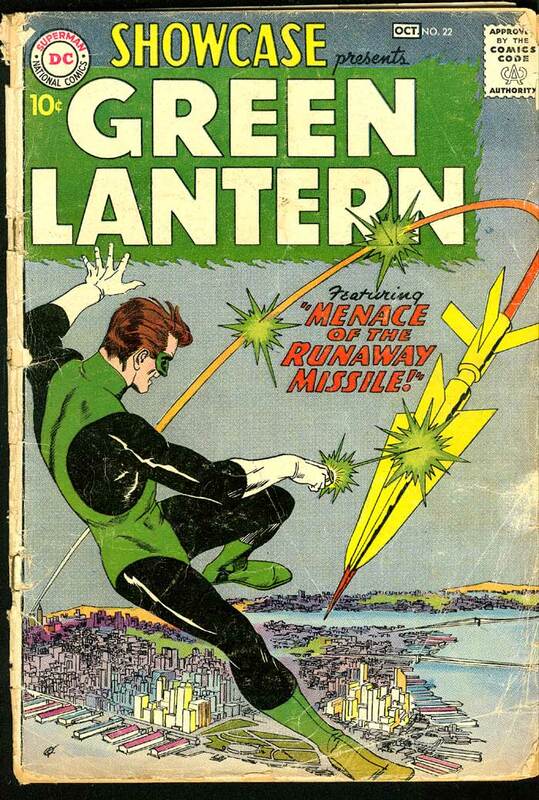 1st appearance/origin of SA Green Lantern. Cover is separated from the lower staple, still clinging to the top. Defects pretty self-evident. Centerfold is detached. I'm grading it at G-. OS is $348. 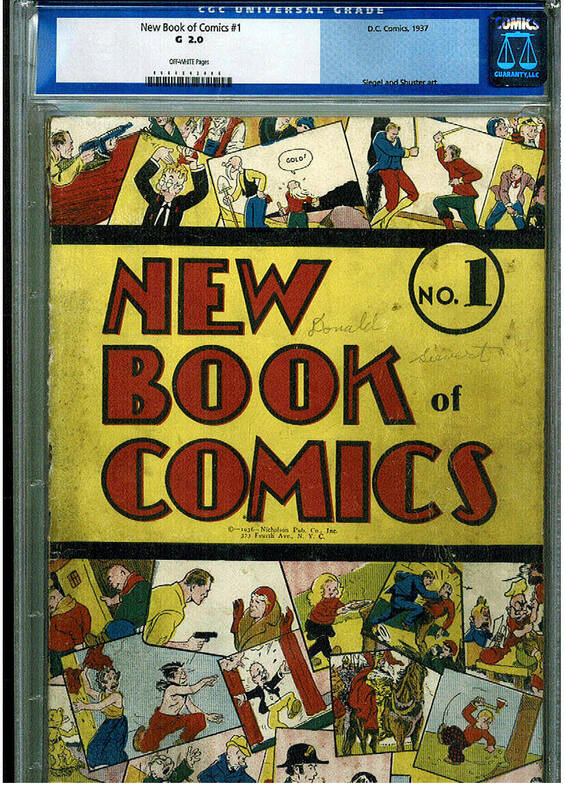 This is part of the "Western Missouri Collection" which began in a small Missouri town, 90 miles southeast of Kansas City where two young brothers began collecting comic books in 1958. Buying from the Rexall Drug Store, one boy bought Marvels, the other boy bought DCs, and for the next 30 years they bought and bought, and traded back and forth from each other. This amazing collection amassed approximately 3,000 books, 90% bought off the rack by their original owners. The majority of this very affordable collection averages in the Fine range, with a range from Good to Very Fine +. Only a few books from this collection will be listed on this site. Others can be viewed in my ebay store (username: EsquireComics). Please feel to inquire with any want lists. 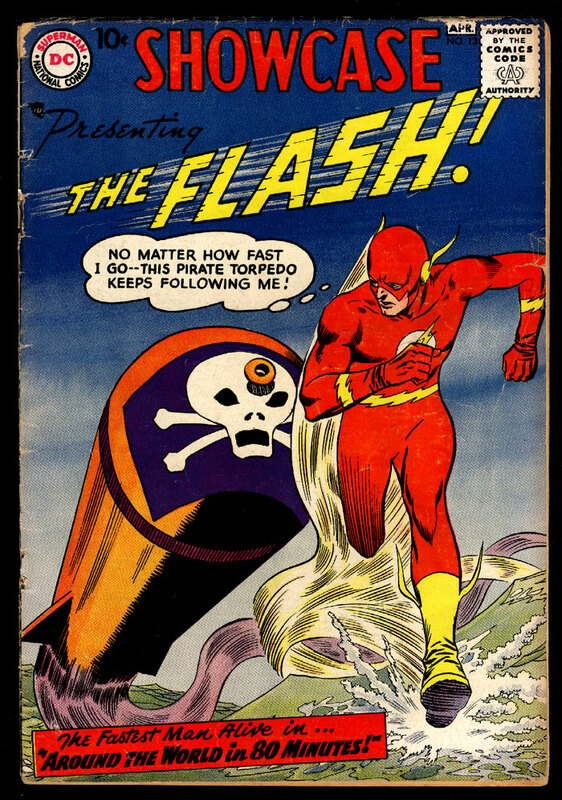 A key SA book in that it features the 3rd appearance of the Flash. Nearly 6" upper left spine split, fc nearly totally separated from book, other creases/tears visible in scan. This book has STRONG cover colors and presents far better than grade. This is a great opportunity to own a key book at a very inexpensive price. 2008 OS Value = GD 2.0 = $320. 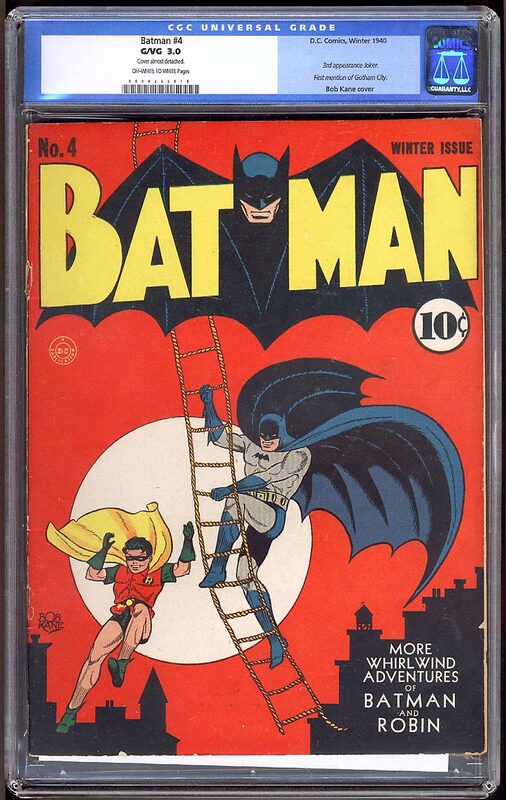 Overstreet lists this as "Rare" as well he should for it is the 1st regular size comic annual (and second DC annual overall) that is nearly 70 years old! It contains reprints of New Comics #1-4 & More Fun #9. 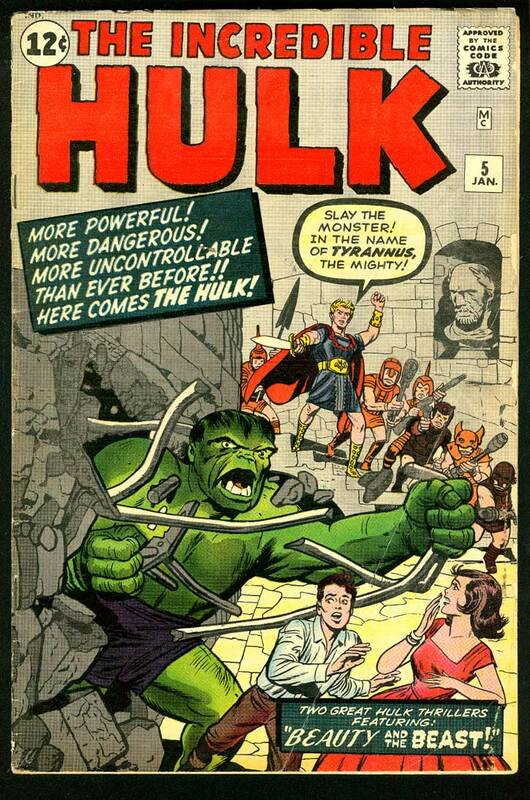 Fantastic early art by legends Siegel & Schuster, Moldoff and Mayer. Overstreet 2005 Guide GD 2.0 = $2,000. 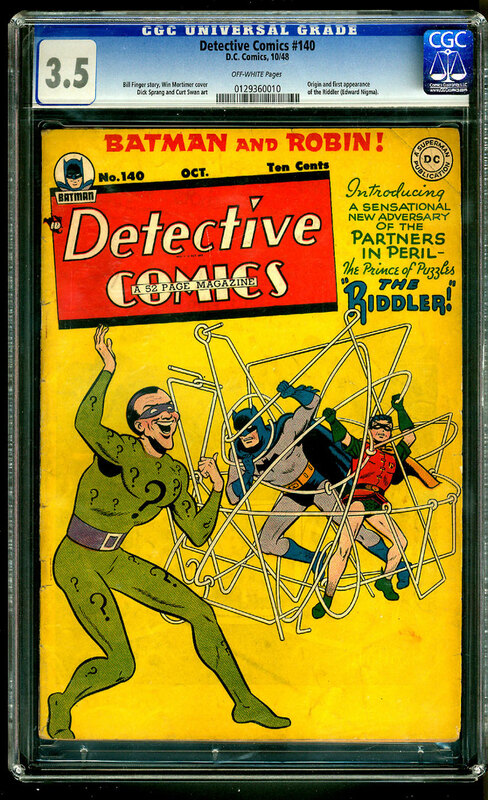 One of Batman's most infamous enemies, The Riddler, makes his first ever appearance in this low-grade (and affordable!) issue of Detective. Overstreet 2005 VG 4.0 value = $878. The holy grail of comics!!!!! This is one of the best known certified examples for page quality. 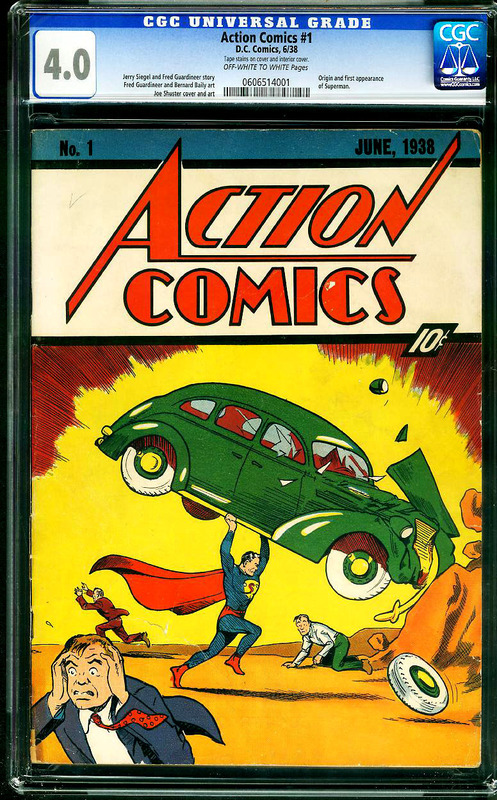 Approximately 75-100 copies of this first appearance of Superman by Joe Shuster and Jerry Siegal are still believed to exist. A solid copy of a key early SA Marvel book. And at an affordable price. Centerfold detached at bottom staple. From the Robert Overstreet Collection (with certificate). 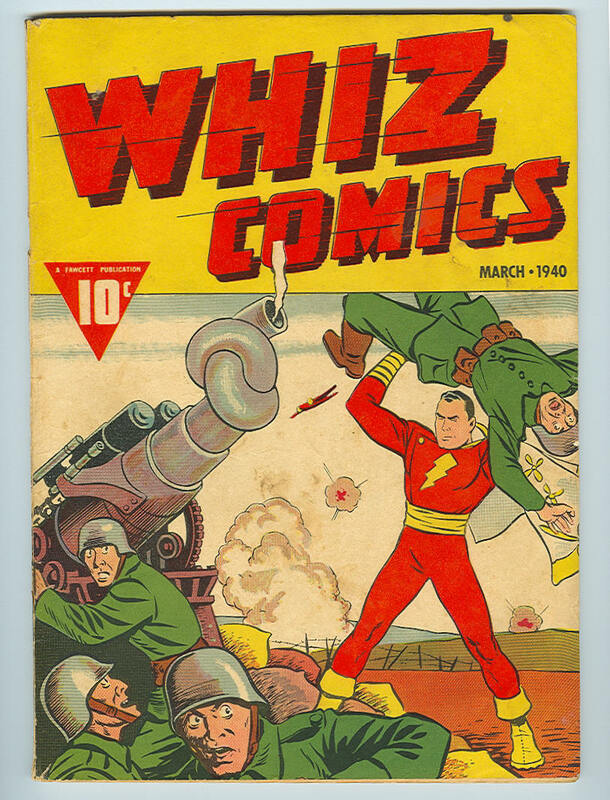 This issue is not numbered on the cover, and though actually #2 of Whiz Comics says #3 inside because of the Fawcett-DC copyright war. Overstreet 2005 VG 4.0 value = $904; FN 6.0 value = $1,356. 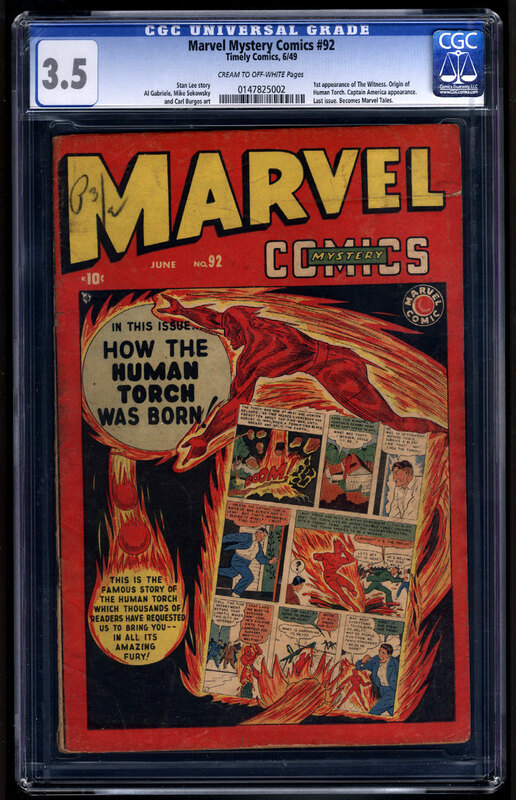 This book is being sold only as a pair with X-Men #2 CGC 7.5 for $2,100. 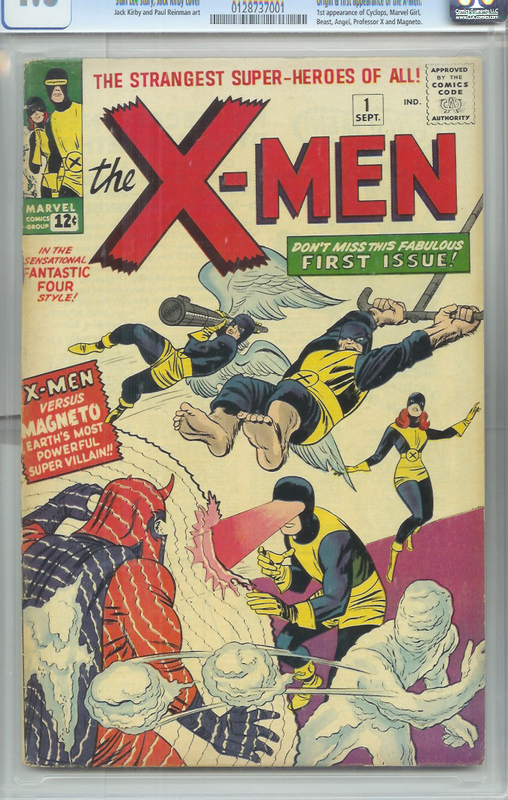 Two "key" classics from the Silver Age, the 1st & 2nd appearances of the X-Men! Both copies are bright & beautiful and very clean front & back. A very reasonably priced way to start a "key" X-men collection!